In reviewing my mail today I came across a list of useful links for Microsoft products and decided to share a few with Web Bytes Blog readers. One that caught my attention right away was the link to step-by-step guides on how to perform common Windows tasks and this guide is downloadable. Hope these links are of help to you and if you have any that would be of help to the Web Bytes readership, please let us know. I have been a little busy recently and hope to have more time to do detail research on some of the 101 Fantastic Freebies. In the meantime if any of you have used or researched any of the products on the list, again, please feel free to share with us. 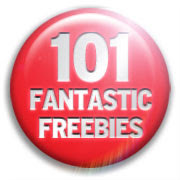 Below are two links for 101 Fantastic Freebies written by Preston Gralla and Erik Larkin of PC World. These links were published in a blog on a business networking site I am a member of and I thought they would be a good fit for our Web Bytes Blog (Thank you Marilyn). The articles list the Web’s best free stuff for download and online productivity, security and entertainment. Some of the products were already written about here on Web Bytes and others will be researched, used and written about during the year. If you decide you would like to use any of the software and it was not one of the products tested by the PC World authors, please search the Web for a review of the product or ask for us to research and write about it. Have fun checking out these products. One of the first articles posted to Web Bytes Blog pertained to Internet Security and the fraudulent act of phishing. In this article phising attacks were perpetrated through emails. Today, again we revisit this topic but a far more sophisticated, stepped up feature of phishing, known as in-session phishing. As the name implies, the attack happens while the user is in an active session of banking or some similar tasks dealing with sensitive and confidential information. Because of this, the attack is more likely to succeed as the victim is already logged in to the secure site when a pop up window appears asking for them to login since the session has expired or some other form of engagement that could be typical of the site. In light of this, users need to be more diligent while taking care of sensitive and secure information and log out of secured sites when finished…do not leave the browser open while you navigate to other sites. For complete information on how the scheme unfolds and to protect you, visit Trusteer’s Web site at the link below and read the research paper “In session Phishing Attacks”, the PC World article for March 2009 on page 12 and Arstechnica.com via the link below. McMillan, R (2009, March). Browser bugs could allow phishing without e-mail. PC World, 40. I just got an update from Openoffice.org announcing the availability of 3.0.1 release which fixes some minor issues that were reported for OpenOffice.org 3.0. I will write more later if there is any thing major. See link to complete article.